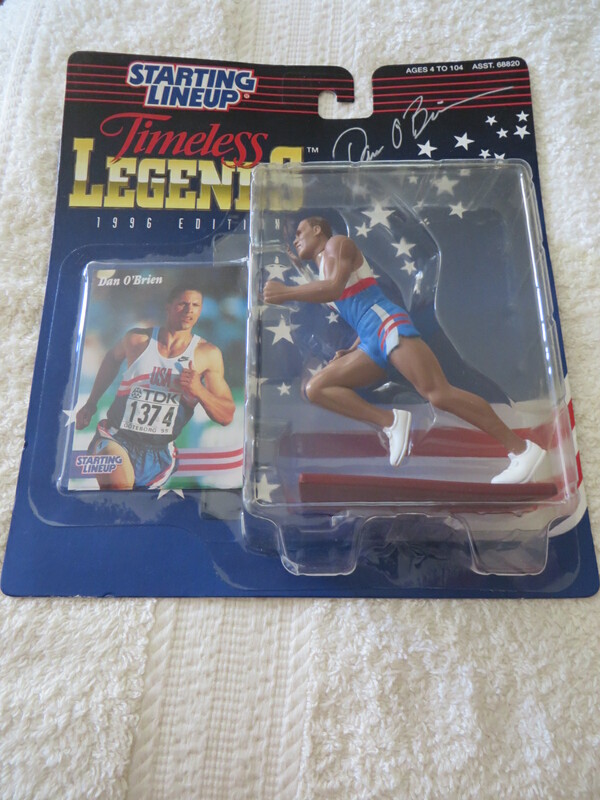 Dan O'Brien 1996 Olympics Kenner Starting Lineup action figure autographed in thin silver paint on the cardboard backing by the 1996 Olympic decathlon gold medal winning athlete. Package has very minor handling flaws. Obtained in person, with certificate of authenticity from AutographsForSale.com. ONLY ONE AVAILABLE FOR SALE.